In the fertile valley of Wadi Dhahr, Qaryat Al-Qabil is a charming village. 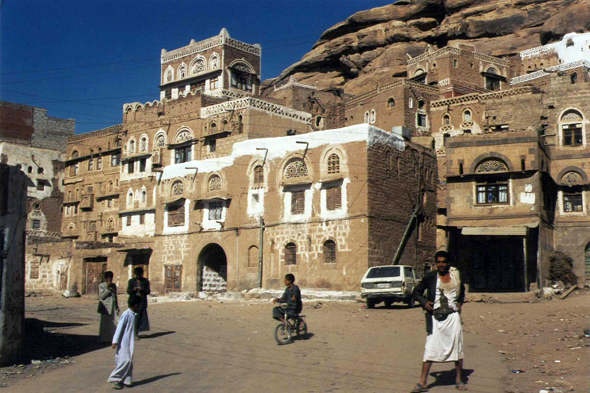 The Yemeni architectural harmony, allows to constructions to be merged in the landscape. The houses seem come out of the rock.